Binoculars are a great tool to have when you are in need of seeing far distances with clear vision. When it comes to hunting optics, binoculars are often the go to choice because they allow you to see far distances using both eyes and are often more accurate than your rifle scope, especially when it comes to spotting game. Most often, hunters will use binoculars to survey an area and (hopefully) spy game or signs of game. If the hunter is on the move, a quality pair of binoculars will help him decide the best direction; if a hunter is stationary, binoculars can help him better see his distant surroundings. Binoculars are one of the things every hunter must have.Binoculars offer a more comfortable distance viewing option than a rifle scope, especially if you have yet to locate your target. But choosing the right hunting binoculars is just as important as having them to begin with. After all, there are so many different types, brands, styles, etc., on the market today that choosing the best pair of binoculars can be just as difficult as tracking down a particularly elusive buck.No matter the type of hunting that you enjoy, having the right pair of binoculars can mean the difference between targeting and bagging your game and being forced to shuffle home in defeat. This buying guide will help you better understand what you should be looking for when it comes to choosing your hunting binoculars and offer a look at some of the top hunting binoculars on the market today. We hope this buyers guide will help you find the best binocular for the money, no matter what price ranges your looking at. Below is a quick comparison chart with different binocular models with weight and field of view specs. What is a lens coating? Coated – This is an anti-reflective coating which is on at least one lens surface. This is a basic form of coating. Fully Coated – This anti-reflective coating is on both sides of the objective lens system, both sides of the ocular lens system, and on the long side of the internal prism. Multi-coated – This anti-reflective coating is on one or more of the lens surfaces. Fully Multi-coated – This style involves multiple anti-reflective coatings on all lens surfaces. This is the highest quality of coating, though it does not guarantee a higher quality product if the materials used are inferior. Phase Coating – This is a dielectric material that delays light waves so that distracting and view altering peaks of light do not impact your view. This type of coating is usually used in combination with one of the others. Lens coatings for optical tools were developed to help prevent light scatter which can impact vision while looking through the lens. 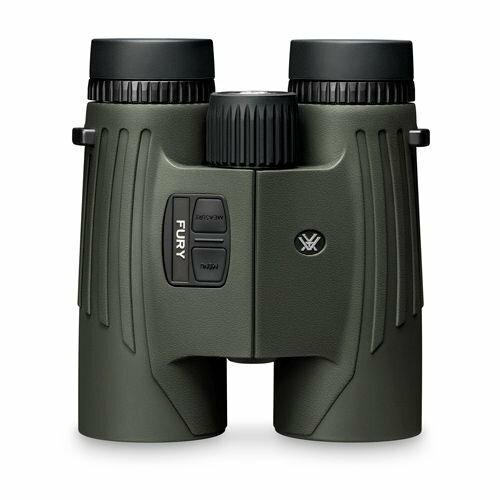 Binoculars, in particular, have a particular issue with light scattering because of their internal prisms, which is why, when searching for the best hunting binocular for your time and money, choosing a pair with a high quality coating is so important. Put simply, eye relief is the distance between your eye and the eye piece. Attaining the ideal eye relief is key to being able to see the full field of view that your binoculars offer, especially if you wear glasses. For glasses wearing individuals, a longer eye relief is the best choice with a minimum of 16 mm. Longer than that is better, but on average, 16 mm is usually enough to provide adequate eye relief. For individuals who do not wear glasses, 10 mm eye relief is recommended for comfort, though you can certainly go shorter if needed.Eye relief is determined by measuring the space from the last surface of the eye lens (or that lens in the binocular that is closest to your eye when you are using the binoculars) to your eye. Higher quality binoculars will either have a longer eye relief built in or an adjustable eye cup that can be used to achieve optimal eye relief. This short video from Eagle Optics goes into greater detail on what eye relief is and shows examples of what your view will look like if you do not have enough eye relief or if you have too much. Bigger is not always better when it comes to magnification, especially for a pair of hunting binoculars. The larger the magnification of your binoculars, the more steadying they require to achieve a clear image. Imagine that you have been hiking all day trying to find the perfect spot to set up a watch during your hunt. 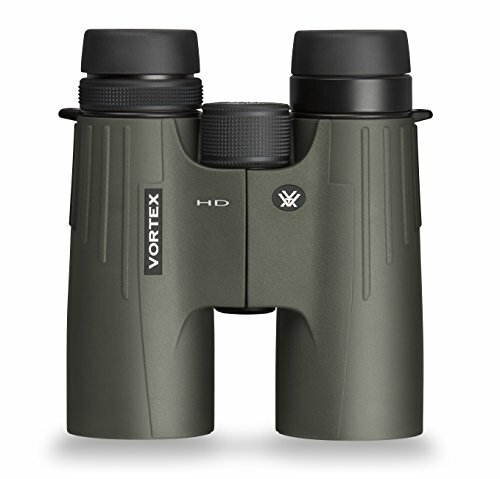 The last thing you might want to do is try and steady a pair of stubborn binoculars which are showing a blurry, disturbed field of view.For hunting binocular purposes, a magnification between 7x and 10x is usually more than sufficient to provide adequate field and view and clarity of vision. The greater the magnification, the lower the overall field of view, or the width of space that you can see at a distance. 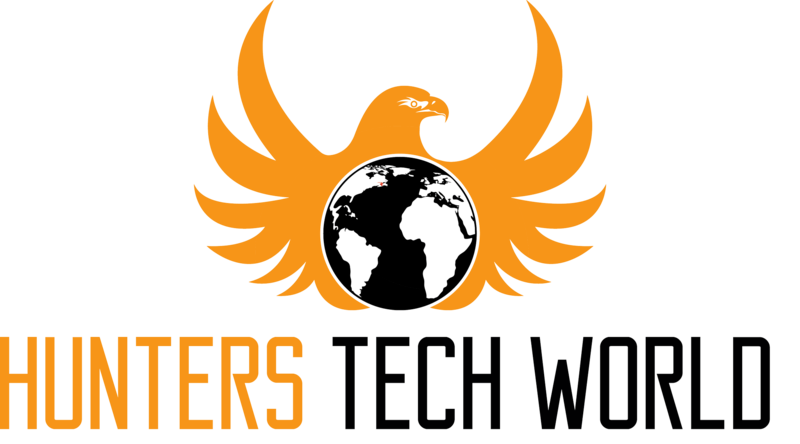 Greater magnification can also sacrifice overall light transmission and brightness, which will also reduce overall optical clarity. When you are searching for a pair of binoculars, you will generally see the magnification and a second number displayed on the packaging or ad for the binoculars (e.g., 10 x 42). This second number is known as the “objective size” and determines the size of the binocular’s objective lens. This lens is what focuses light into the internal prism of the tool; the larger the objective size, the more light that can pass through the binoculars and provide a clearer, brighter field of view.Again, while bigger may seem better, this is not always true, because the larger the objective size, the larger (and more expensive) the binoculars. 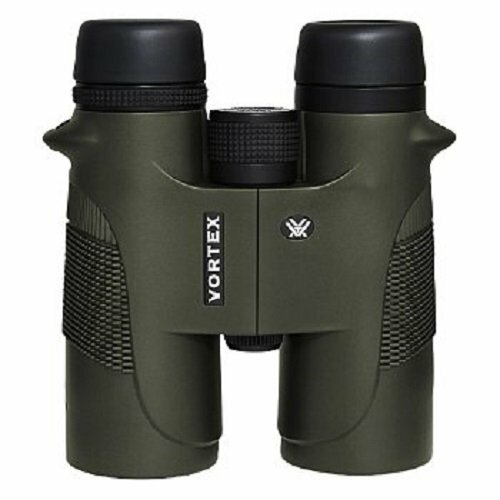 If you are looking for a compact and lightweight pair of binoculars that you can easily carry with you, then you want to look for a smaller objective size. 40 or 42 mm is usually a good, average size for an objective lens for hunting binoculars. Anything bigger and you will find yourself looking at a bulkier pair of binoculars; anything smaller and you risk sacrificing overall optical clarity. Field of view is an exceptionally important aspect of your binoculars because this measurement determines how much you can see, per 1,000 yards, through your binoculars. In other words, the field of view is the overall image that you can see through your lenses. Field of view is directly and conversely connected to magnification, as the greater magnification you have means that your field of view is more limited. After all, the closer you are looking at something, the less you can see what is around that focused image.The type of hunting that you are planning on doing will determine how large of a field of view you need for optimal results. If you are bird hunting or watching, for instance, a wider field of view is more helpful to better see these birds (especially when they are in flgiht). 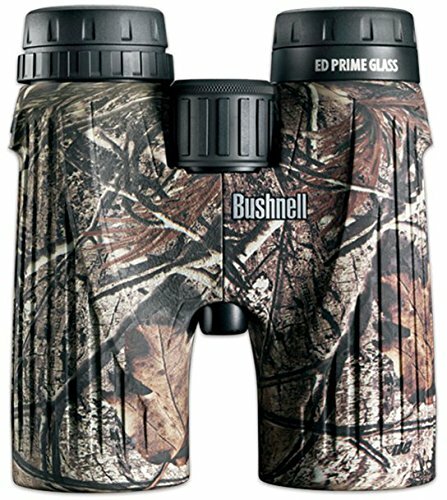 However, if you are looking for binoculars for deer or elk hunting, a smaller field of view might work just as well because you are more in need of a greater degree of magnification to see long distances. For most hunting binocular purposes, a standard field of view (between 300 and 375 feet per 1,000 yards) will usually work just fine. What are prisms in binoculars? 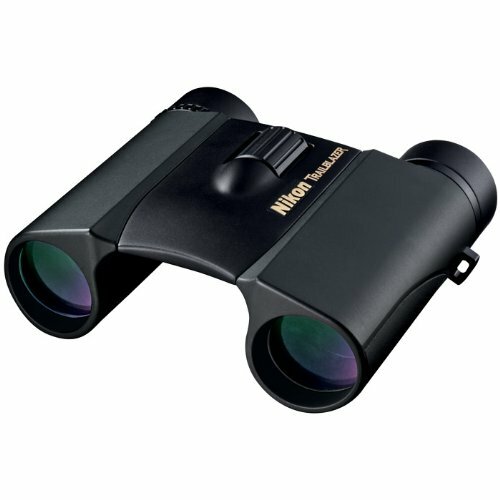 Roof Prism – The roof prism is generally the favored style of prism for binoculars because it is more lightweight and slim, and sits directly in line with the eyepiece of the binoculars. A roof prism reflects light five times, which means more direct light and a crisper image overall. But roof prisms tend to be more expensive on average. Porro Prism – Porro prisms resemble a “Z” shape, which means the prism does not line up with the eyepiece of the binocular. To make up for this more awkward positioning, binoculars with a porro prism require a larger frame (or a boxier build) to hold the prism, which makes for a heavier tool. However, porro prisms do tend to be more accurate in terms of image display and cheaper than roof prisms overall. While porro prisms are superior to roof prisms overall in terms of clarity of vision and price, roof prisms are favored for their direct line of sight and compact size. Especially when you are on the move or hiking during a hunting trip, having a bulkier pair of binoculars may not be the best or most highly desired choice. But the decision is up to you, in the end. 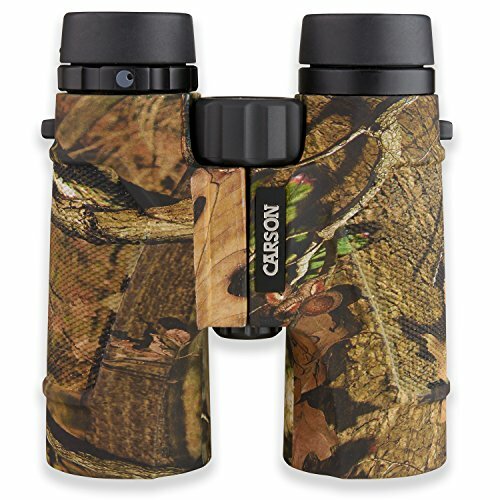 If you are looking for a compact hunting binocular these are a great pair of hunting binoculars. What does “exit pupil” mean? The exit pupil refers to the determination of the amount of light that can reach your eye through the objective lens of your binoculars. This is important for your binoculars because the amount of light that your eye can receive will determine how well you can see through your objective lens and, in turn, how clear the image will be.The iris of the human eye surrounds the pupil and is responsible for contracting or relaxing to contorl the amount of light that can enter the eye. Therefore, the amount of light that the exit pupil of your binoculars can provide will determine how much your irises will allow the pupils to see. The average diameter of the human iris sits at around 10 mm to 13 mm, so finding a pair of binoculars that provide a greater exit pupil will provide a clearer image.The measurement of the exit pupil is determined by dividing the objective lens diameter of your binoculars by the magnification. Thus, an 8 x 42 mm pair of binoculars has an exit pupil of 5.25 mm; a 10 x 42 mm has an exit pupil of 4.2 mm. This means that the 8 x 42 mm has a brighter image, because your eyes are receiving more light through the binoculars than the 10 x 42 mm.For hunting purposes, consider what types of terrain and times of day that you plan on hunting. If you are going to be in a heavily wooded area with a thick canopy or otherwise low light conditions, a lower magnification and objective lens diameter with a greater exit pupil measurement will be more beneficial. If you are plains hunting or are in otherwise well lit areas, then more brightness in your exit pupil view will not matter as much. What is the Relative Brightness Index and how do you determine it? The Relative Brightness Index (RBI) is directly associated with the exit pupil measurement. Essentially, the RBI is the measurement that determines how bright the image you can see through your binoculars is. The greater the magnification of the binoculars, the lower the overall RBI and vice versa.RBI can be determined by multiplying the exit pupil size by itself, or “squaring” the number. Thus, an 8 x 42 mm pair of binoculars with an exit pupil of 5.25 would have an overall RBI of 27.56. On average, an RBI of 25 or higher is considered the best choice for low light conditions or twilight hunting. How important are water and fog proof lenses? While water proof lenses might seem like an obvious aspect of a quality pair of binoculars, what exactly does “fog proof” mean? Fog proof is not the binoculars’ ability to see through a dense mist or fog that you might encounter while hunting; rather, the term refers to the ability of your binoculars to avoid building up condensation or other internal fogging that could occur on the binocular lenses.Depending on the outdoor conditions that you plan on hunting in, water and fog proof lenses can be highly useful if not critical in ensuring that you can see clearly through your binoculars at all times. Furthermore, water and fogging (which can occur in humid or damp environments regardless of precipitation) can damage more cheaply crafted binoculars. Higher quality materials will ensure that your investment in your hunting binoculars will go as far as possible. 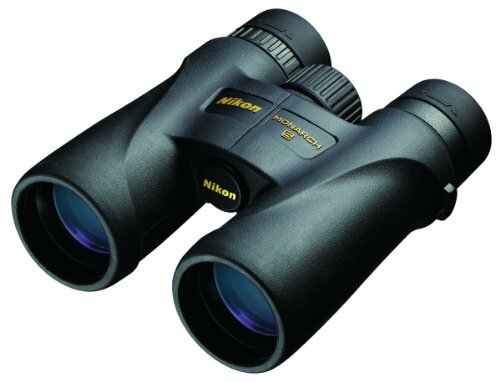 How much should I plan on spending on a high quality pair of binoculars? Today, there are so many different types of binoculars on the market that a lower price does not always mean a more inferior pair of binoculars. On average, you should plan on spending more on your binoculars if you want to make a good investment, but price should not be the primary concern when choosing your hunting optics.The aspects and components listed above are the first consideration that you should keep in mind when choosing a pair of binoculars. Go in to your purchase with a clear idea of what kind of hunting you will be doing and which aspects of optic clarity are most important for your needs. If you find a pair of binoculars that are relatively inexpensive but are made of quality materials and have the right balance of magnification, field of view, objective lens size, exit pupil, and RBI, then you have found a good pair of binoculars.That being said, the more expensive that a pair of binoculars is, the more likely they are to be made of higher quality materials with overall better components that make them superior optics. The key is to do your research thoroughly to make sure that you are making the best choice and the best investment for your hunting binoculars. Also keep in mind the size and weight when looking at different binocular models. A good alternative to lighten your load is to use a monocular when hunting. What is close focus and is it important? Close focus is just like it sounds: this measurement allows for an individual to focus on close up objects. Whether or not this is important to have in your binoculars depends on what you are using the binoculars for. In this case for hunting binoculars, close focus will not do you much good. After all, you are looking to find game at a distance, and being able to see the detail of a deer’s coat up close may not be all that important. Keep these binocular tips in mind next time you hunt deer or on your next bow huntClose focus is generally something that bird watchers or entomologists might look for in order to see small details up close. The smaller the number, the more accurate and clear the details of what you are looking at. For bird watchers and entomologists (or insect enthusiasts in general), a close focus of 10 feet or less is optimal. For hunting purposes, the close focus will not matter quite as much. Focus binoculars are great for medium to far distance type situations. Center focus binoculars are excellent for your prey is closer than 30 yards or so. Paying attention to different focus types are an important decision when looking at this type of hunting gear.